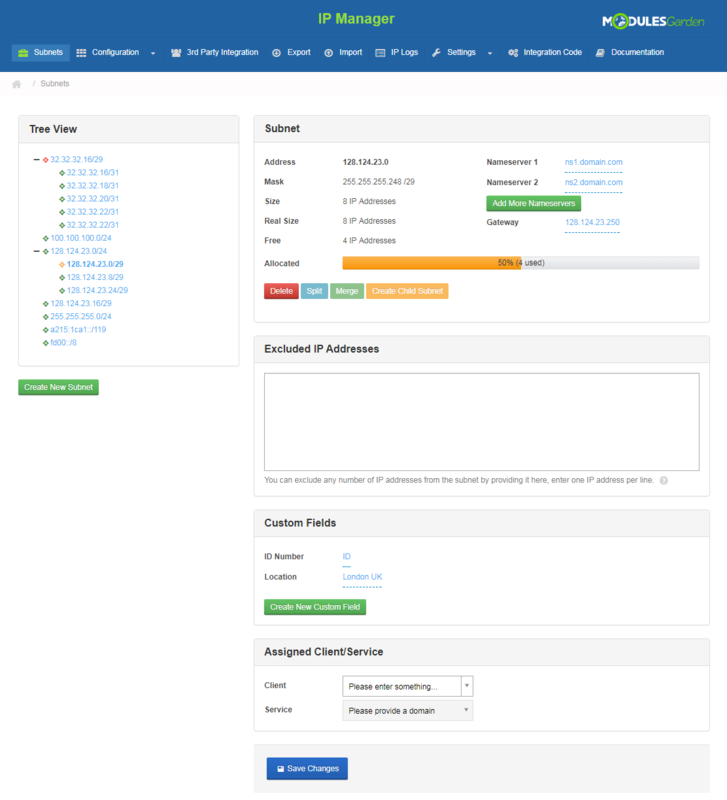 ModulesGarden IP Manager For WHMCS will allow you to easily add and manage IP subnets as well as automatically assign IP addresses to your servers, products, addons and configurable options. Along with it, you will gain the possibility to freely assign subnets to your customers, who will be afterwards enabled to order additional IP addresses from them in the client area. All these without even leaving your website! 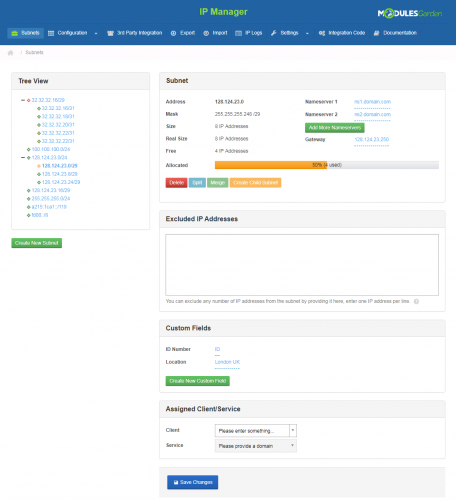 There was a bit of a learning curve in comparison to the system we used previously, but this module integrates well with Virtuozzo VPS and Plesk modules that we are also using, so it is an effective solution to our need for dynamic IP Address management. Just a month ego, we were managing our Ip subnets with excel sheets! And now completed their 7 days free access and deploying forever! Everything is perfect and well planned for administrators to manage. We have some feature request, we will submit them by their support ticket. For small companies i suggest them to lower the open source prices while manage a reasonable yearly pricing. I wrote this same on my other reviews. Hope they will care us! Else, this is the most complete IP management plugin ever which will save you from developing own code for month long! Saves money, saves time! Cheers! 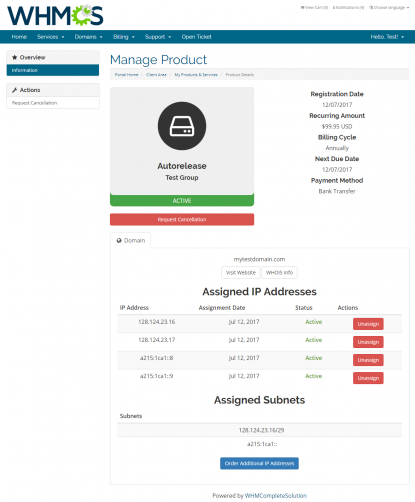 IP Manager has greatly improved the way we, as a hosting company, dynamically assign IP addresses to our dedicated and virtual servers. ModulesGarden's support has always been extremely helpful for all our projects involving their modules. You just simply can't go wrong with any of their modules! What can we say about this particular module, other than that it solves so many problems for us here at GekkoFyre Networks whilst streamlining countless other tasks in the process. It's a real delight to work with this and you soon come to terms with what it means to be "enterprise grade". You can add other plugins from Modules Garden too that work alongside the IP Manager, such as their SolusVM provisioning tools. It'll work right off the bat with very little setup, assinging IP addresses in a DHCP-like fashion to all of your automatically provisioned virtual machines, it's like watching magic happen. If you're unfamiliar with such software, then the learning curve can be quite steep but certainly not impossible. There exists bountiful amounts of documentation out there and people willing to assist. But as a business that heavily relies on products such as this, we cannot recommend it highly enough! Great plugin to manage IP inventory. Beats using a document to track IP usage. No idea why WHMCS doesnt include this by default. This is something really help us manage the ip address. we have over /14 in totally. It could be dead if we don't use this. 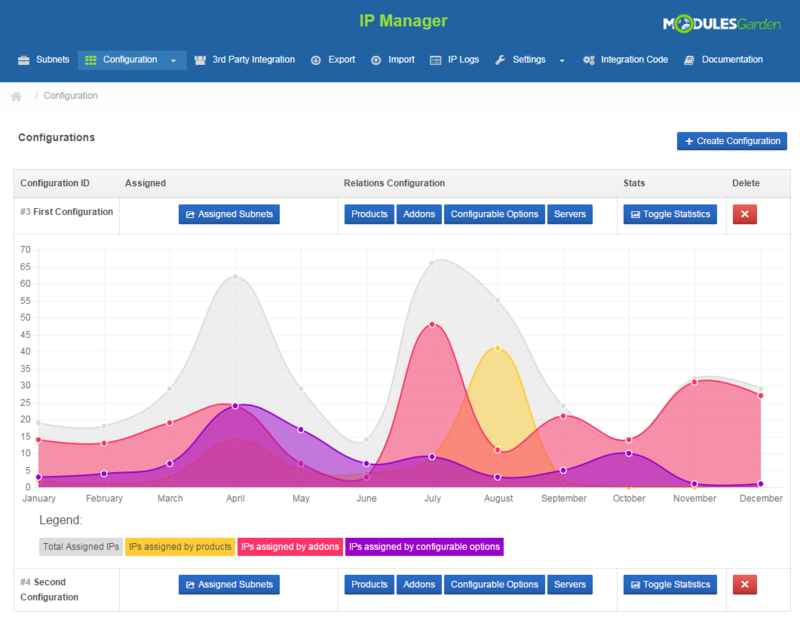 We are using IP Manager For WHMCS module from ModulesGarden in our infrastructure for several years. In the beginning this module had some problems, but we actively communicate with the developer and they are quickly released hotfix. Now the module is working properly and we can not imagine working without this functionality. Special thanks to the developer of the module for functionality and operational technical support.